Originally written by Lee Bryant on May 22, 2014. As part of the work we do helping organisations overcome legacy structural and cultural barriers to new ways of working, we look at areas of the business that suffer disconnects and silo problems. One of these is often the relationship between externally-facing marketing and communications groups and the rest of the organisation. We are hosting an event in London on June 12 to share new thinking on organisation design with marketing and external communications teams. 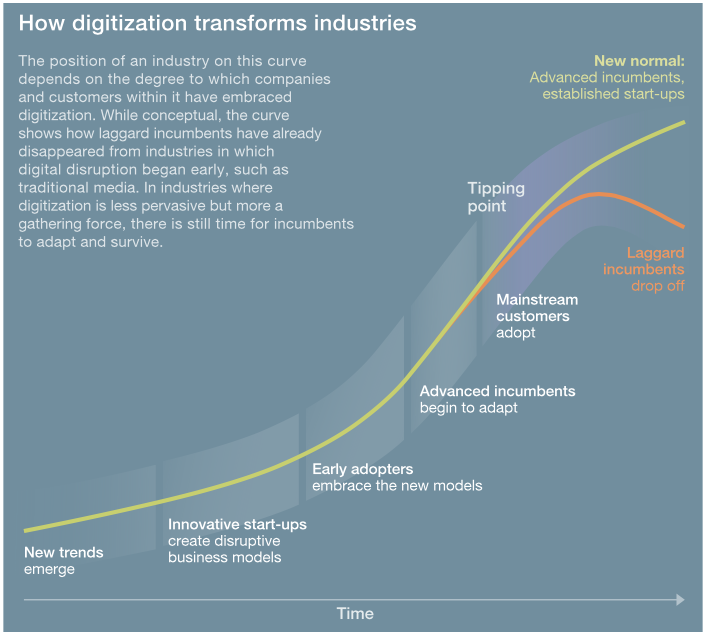 The current McKinsey Quarterly lays out a set of strategic principles for competing in the digital age and suggests ways that established firms can act to prevent being blindsided by emerging competitors with digital-first strategies, and how they need to push on past experimentation to create a ‘new normal’ for their firm that will leave laggard incumbents behind. One of the key challenges for digital transformation is to overcome the legacy organisational design and structure of the functional organisation to become more integrated and aligned. A great example of this in recent weeks has been the story of the New York Times’ attempt to embrace change, hampered by a cultural and political divide between ‘the newsroom’ and ‘the business’ that is also being played out on social media, with the newsroom running their Twitter account and ‘the business’ running its engagement on Facebook. Because the role of customer engagement and market pull is such an important influence on how companies change the way they work, the first phase of social business projects focused more on externally-facing social media than on internal social business change efforts, and in many companies there remains a divide between social on the outside (mostly run by marketing) and social on the inside (often run by some combination of management operations, IT and HR), which needs to be overcome if we are to progress. 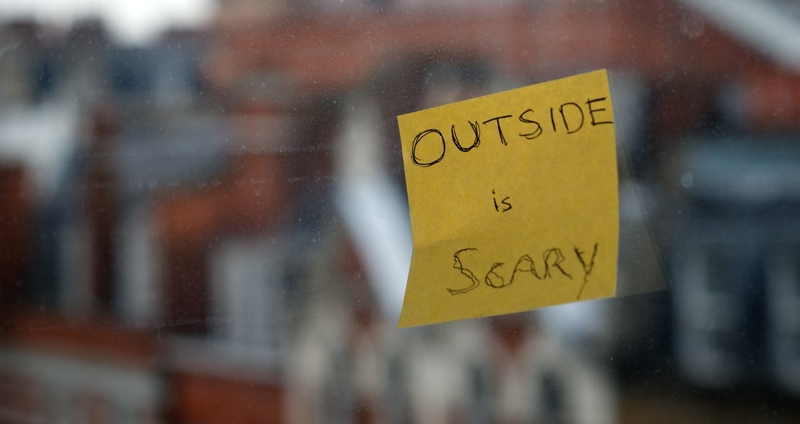 But we have observed over the years that whilst marketing can access the budgets to spend on social media marketing, it often lacks the centrality or the connectedness with the rest of the organisation to drive ‘outside-in‘ business improvement. We are now seeing the limits of what a friendly Twitter or Facebook account can achieve without becoming more integrated into the way business is done. There are some great products and platforms around to improve the reach and engagement of social media marketing, but marginal improvements to marketing and customer acquisition are small beer compared to the potential benefits of business transformation. Digital transformation, first and foremost, requires the development of new capabilities both inside and outside the firewall. Social media and social marketing operations are often well placed to gather valuable customer insights, but how do they socialise the learnings within the rest of the company? How connected are they to customer service, R&D, product or operations? As customer advocates they can sometimes see exactly what is wrong with the formal customer support channels, but lack the influence to change them. This is a huge missed opportunity for many companies. There are only so many quizzes, cupcakes and cat videos that can be shared through social channels before a company starts asking what authentic owned content exists within the wider firm, and how this could be used to create more meaningful connections with the outside world. People inside large firms read, analyse and create huge amounts of content every day that might be of genuine interest to their customers, but very few companies pipe any of this content through to external social efforts to share with those who might be interested in it. The best source of engaging content for your brand is perhaps not always Reddit or Buzzfeed but your own employees and their work. Employee advocacy is not just about asking staff to share or retweet ‘brand content’ – it can also be about asking them to share their work passions and creativity with the outside world to show what goes on behind the shiny logo and website. To do this requires more work to integrate social media operations into the mainstream of the company’s organisation and activity, rather than just ask them to act as an externally-facing mouthpiece. The idea that there are parts of the organisation that plan, parts that ‘do’ and parts that talk about it is just as much a relic of the divisional / functional organisation era as many of the other problems that we are addressing in other areas of the businesses we work with. So how can a social media or marketing team influence change in the wider organisation to bring everybody closer to the customer, and how can their presence and their insights improve the way the whole company works? Part of the answer is structural, in terms of how these teams and their activity are woven into the fabric of the organisation. Partly, it is also about socialising processes and workflows so that everybody knows what is going on and how to deal with snags and exceptions. But also, more broadly, firms should recognise that these teams should have a key role in discussions as ‘voice of the customer’, and perhaps there is also a social technology aspect to this in that their thinking, working out loud and artefacts should be shared more widely within the organisation, not just on the outside. We do not get involved in designing creative campaigns and content (despite an extensive library of cat videos), but we enjoy working with marketing groups to help solve some of the internal barriers to being more effective and having more influence in the company’s mission as a whole. If you would like to discuss this or learn more about how other companies are addressing this challenge, then come along to our event Organising for Social or contact us for a chat.